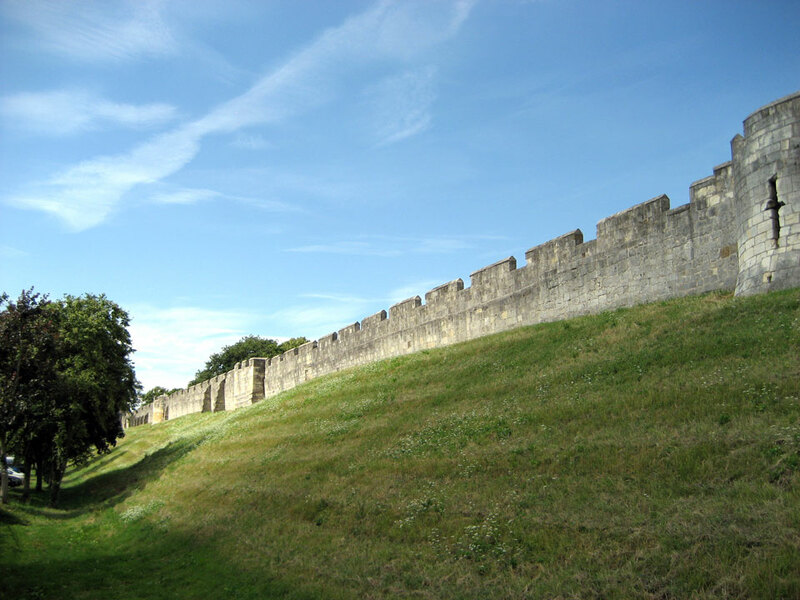 The castle originally consisted of two circular timber motte & bailey castles built in 1068. 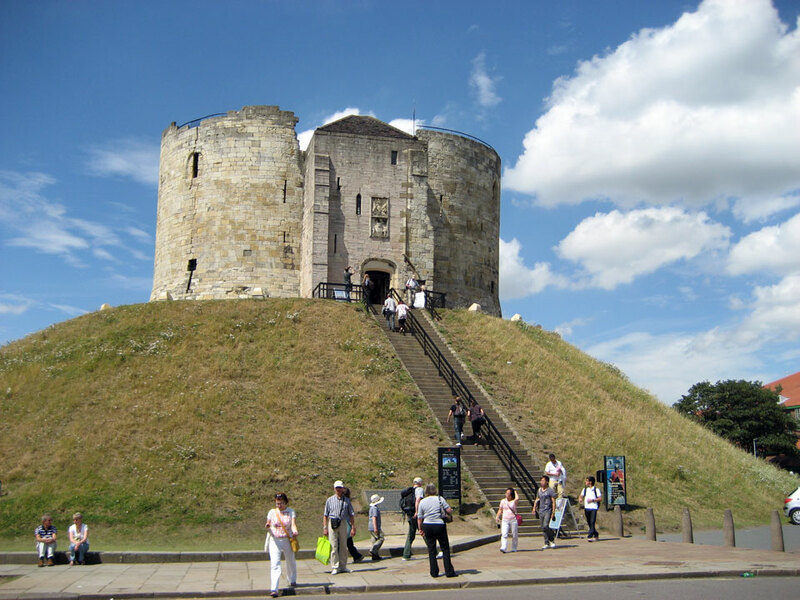 One, known as Clifford's Tower, was first built in wood on a 60 feet high motte and was replaced in stone with a shell keep between 1245 and 1270, protected by a stone curtain wall with towers. 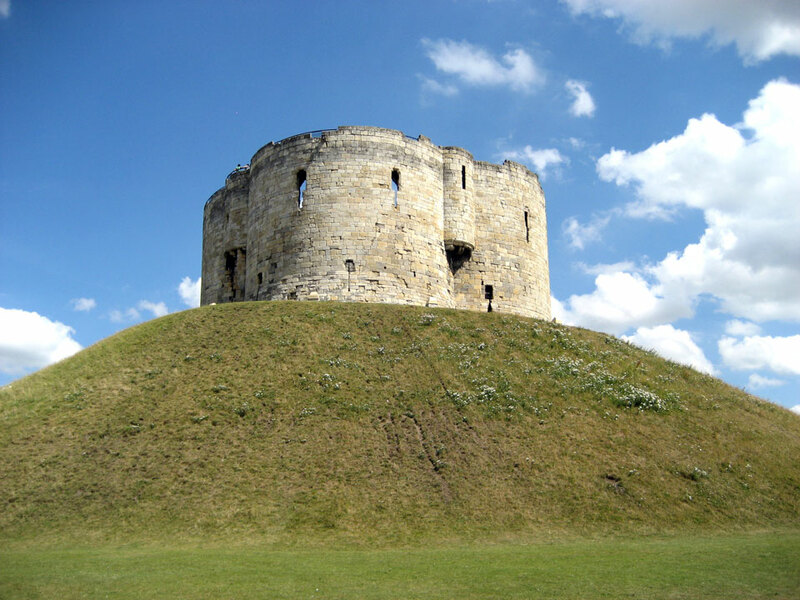 During the Civil War the castle was slighted but it was rebuilt afterwards. 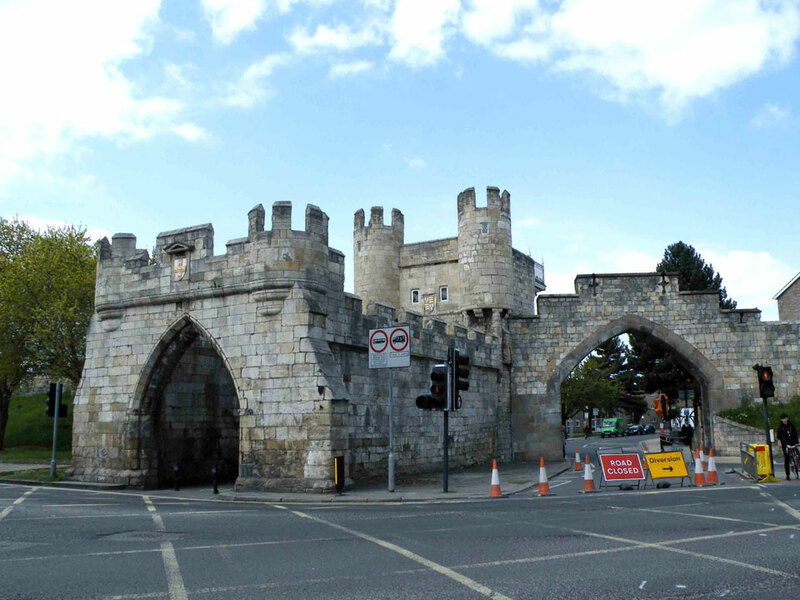 It was then gutted by fire in 1684 and not restored until the 19th century. 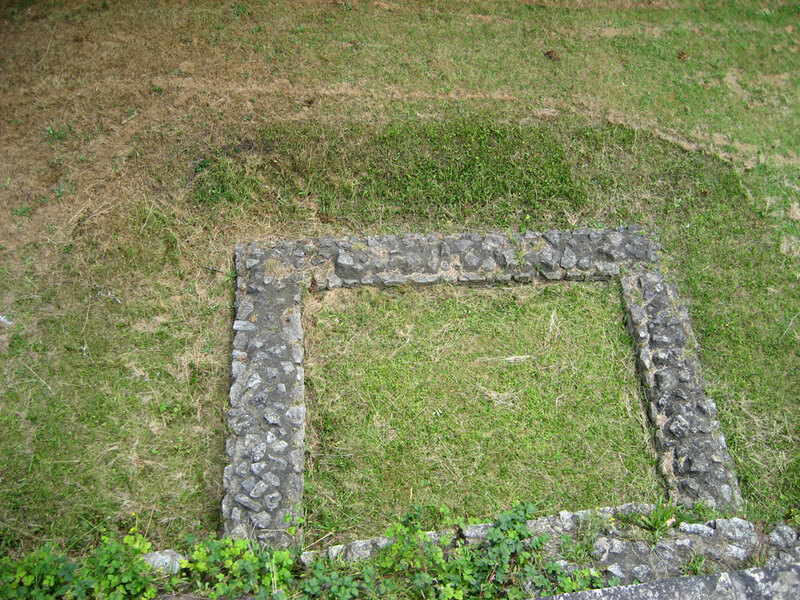 Part of the curtain wall remains. 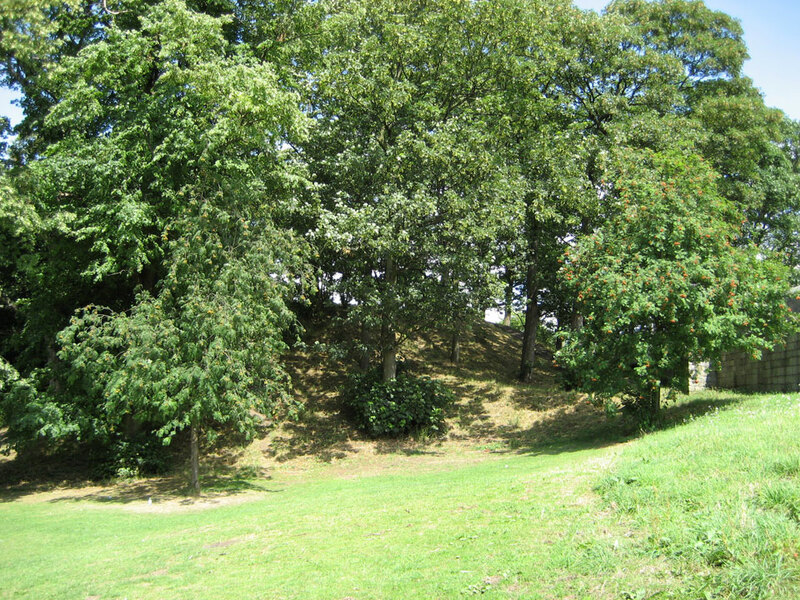 The other motte, Baile Hill, is across the river and still visible. 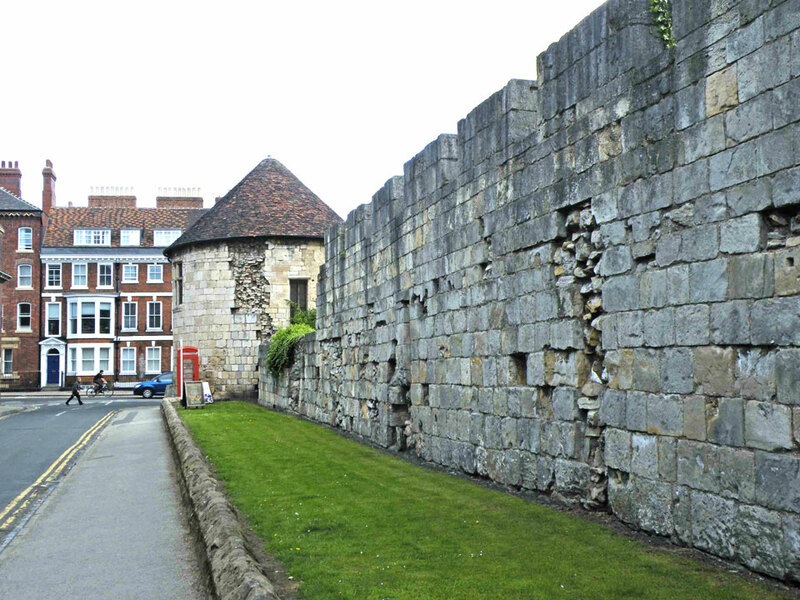 It is 20 feet high and has been incorporated into the city walls. 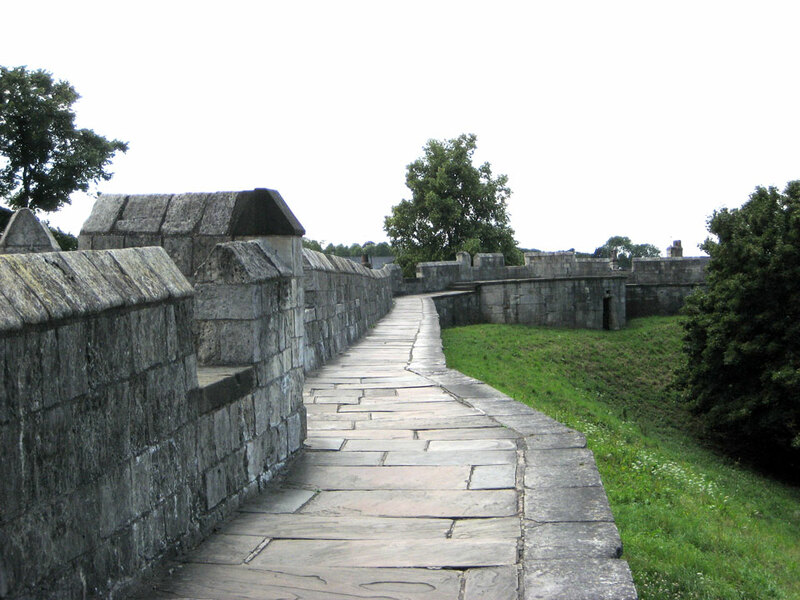 It was used by Parliament in the Civil War from 1642 to 1649 as a gun emplacement. 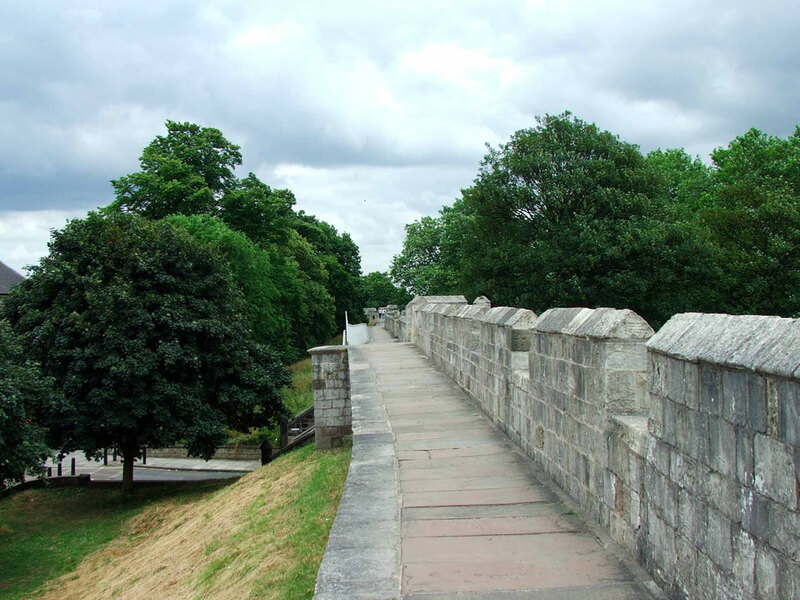 The Romans built one of their three permanent legionary fortresses at York or (Eboracum) on the banks of the River Ouse in AD71 on a 50 acre site now mainly occupied by the cathedral. 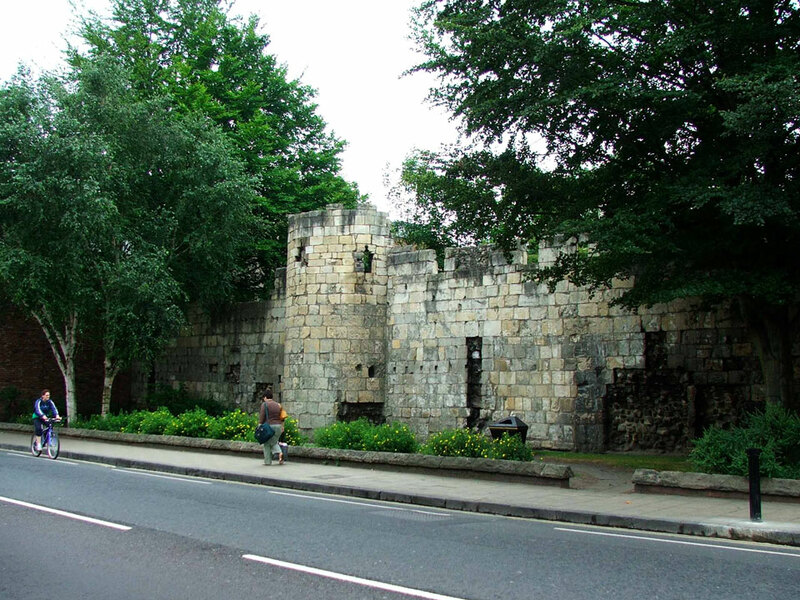 At the end of the 2nd century they encircled the town with stone walls, parts of which still remain near the early 4th century ten-sided Multangular Tower. 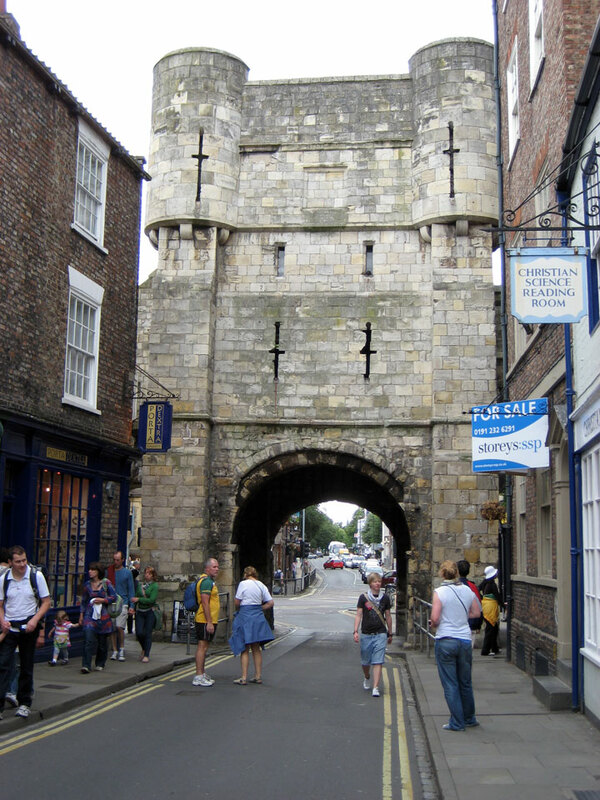 The Danes occupied York in 867 and as the Roman defences were in poor repair they demolished all the towers save the Multangular Tower and repaired the walls. 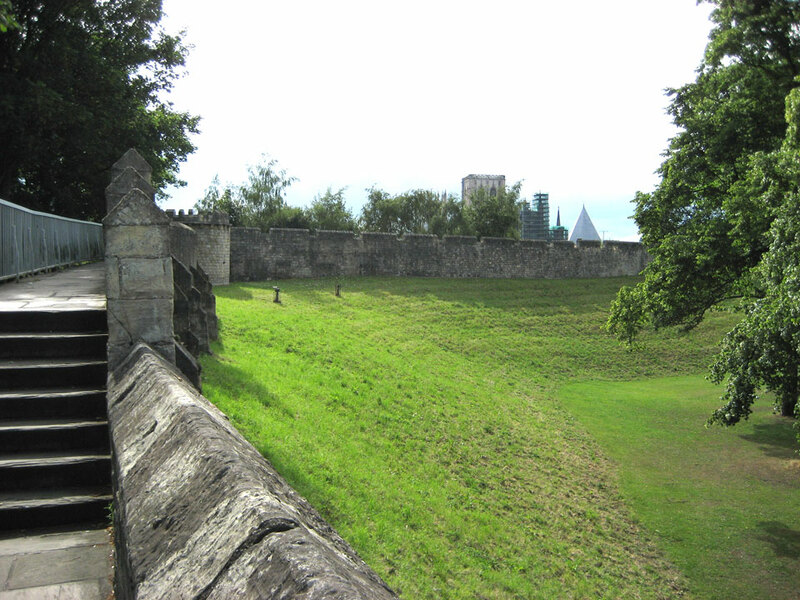 The majority of the remaining walls date from the 12th - 14th century, with some reconstruction carried out in the 19th century. 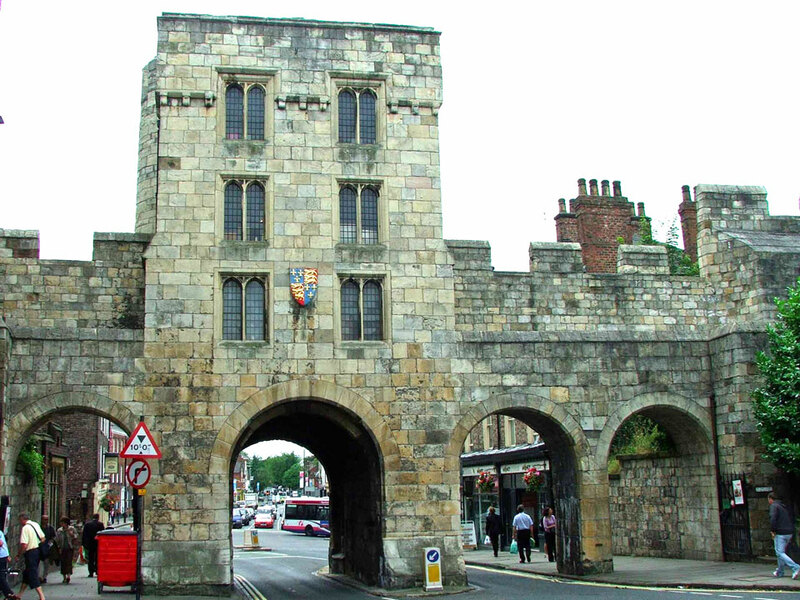 The walls are punctuated by four main gates, or 'bars' - Bootham Bar, Monk Bar, Walmgate Bar and Micklegate Bar. 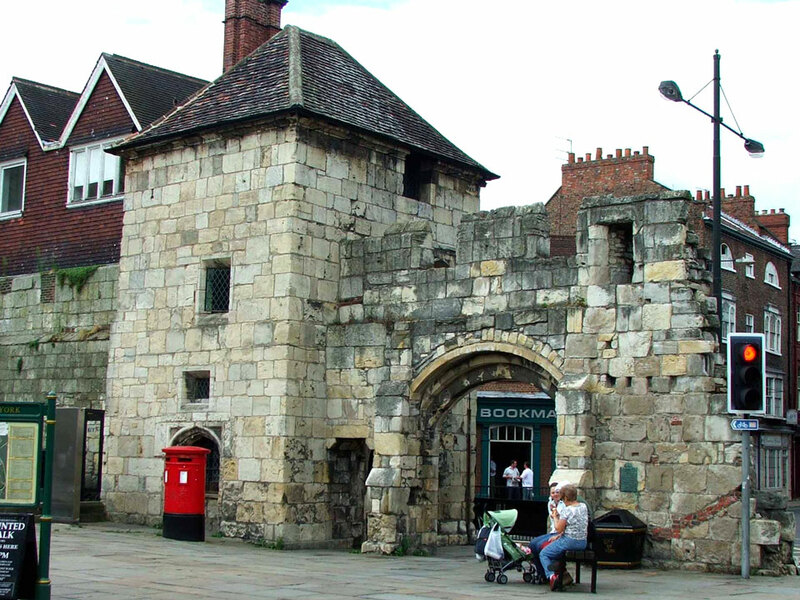 Bootham Bar This is the northern entrance to the city and stands on the site of a previous Roman gate. 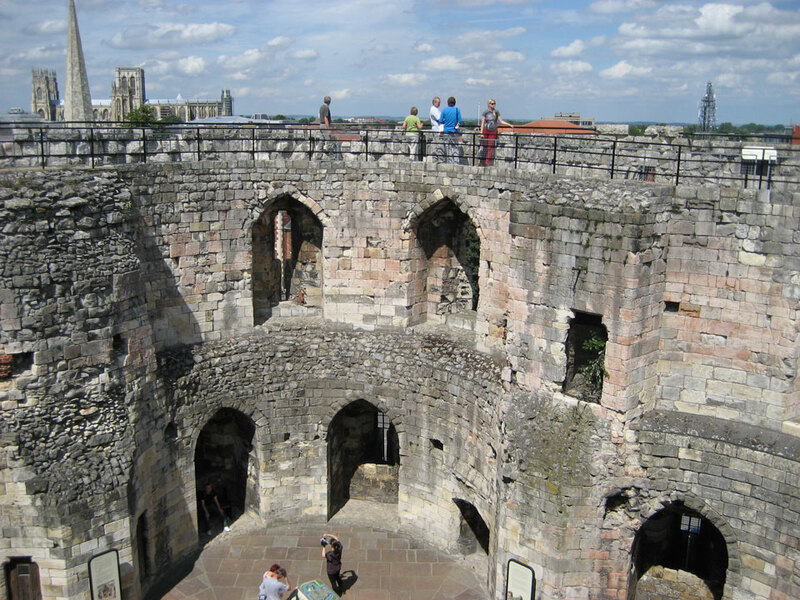 The lower part of its structure dates from the 12th century, the upper storeys being added in the 14th century. 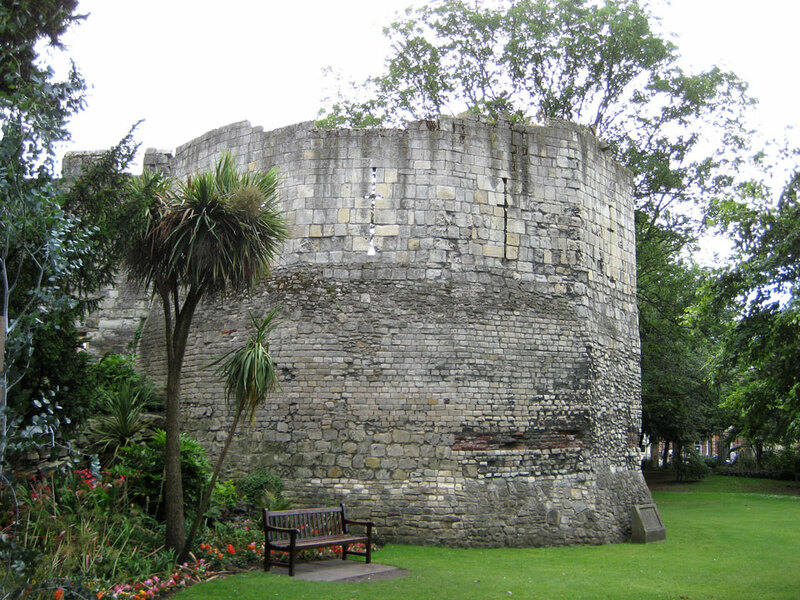 The barbican was demolished in the 19th century. 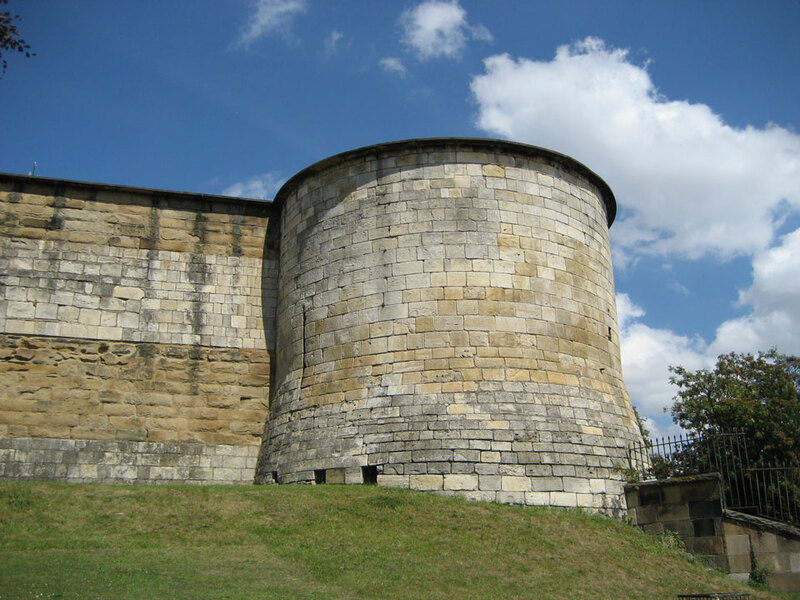 Robin Hood Tower Circular in design, it was built in 1888\89 on the site of an earlier tower. 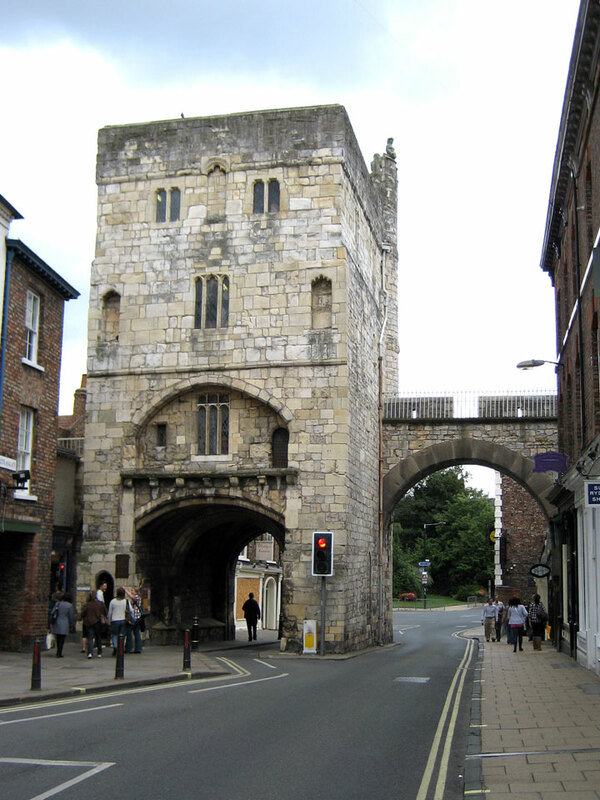 Monk Bar Built in the 1300's, it is the most ornate of the gatehouses. 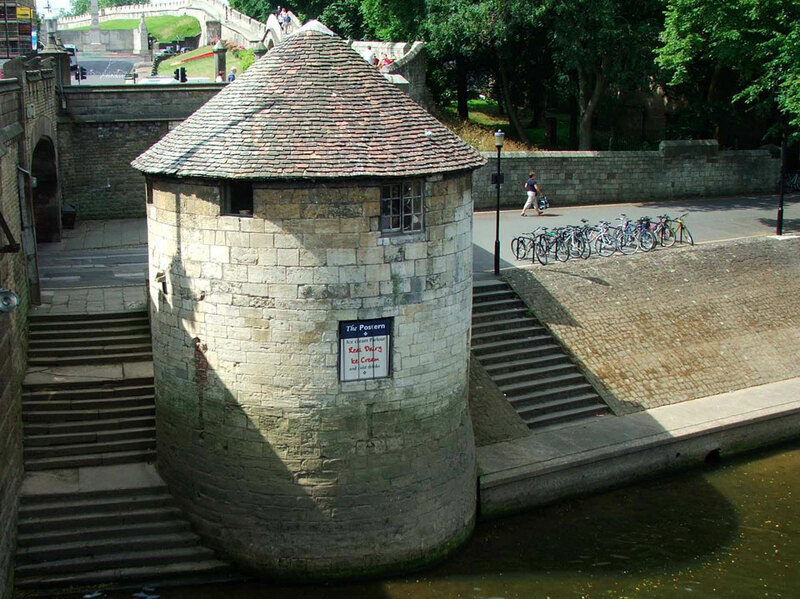 The lowest floor was built in the 1300's, the second story being built in the 15th century. 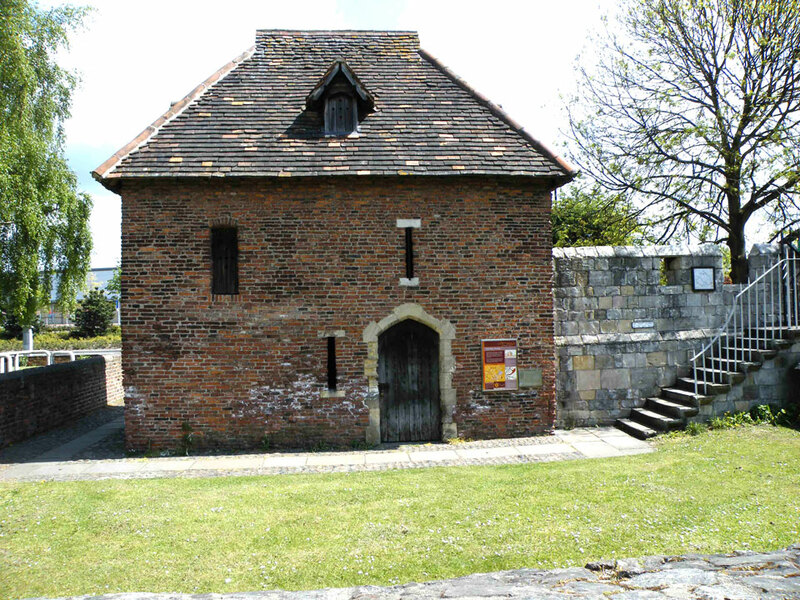 From 1577, the gatehouse was used as a prison. 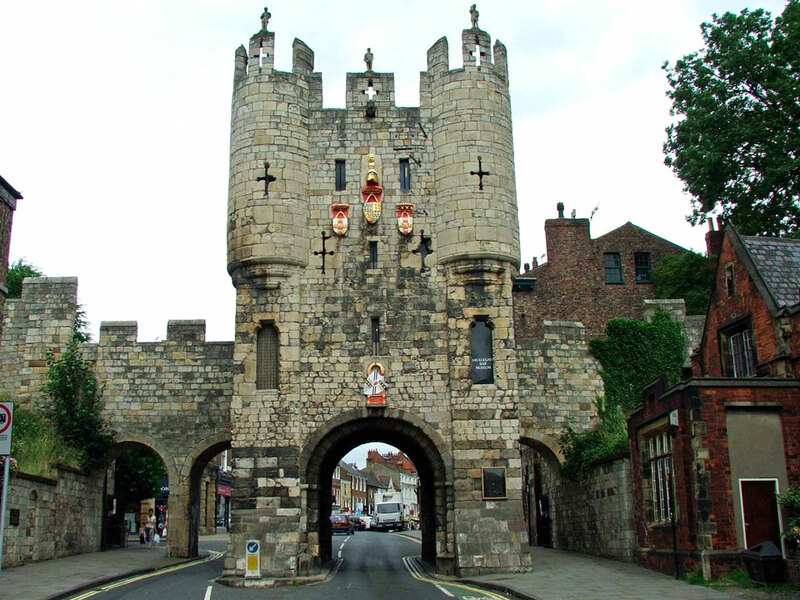 The Barbican was removed between 1815 and 1825 but it still retains is original portcullis. 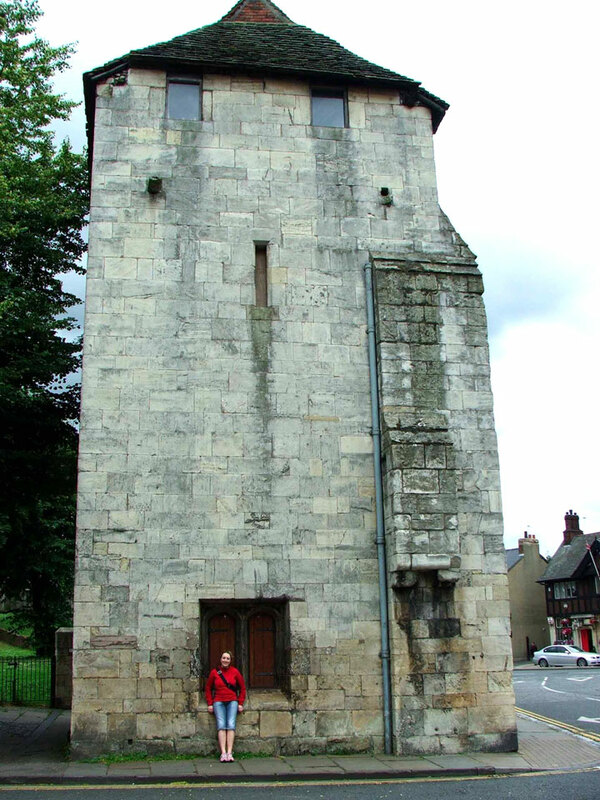 Red Tower It was built in 1490 of red brick and its walls are four feet thick in places. 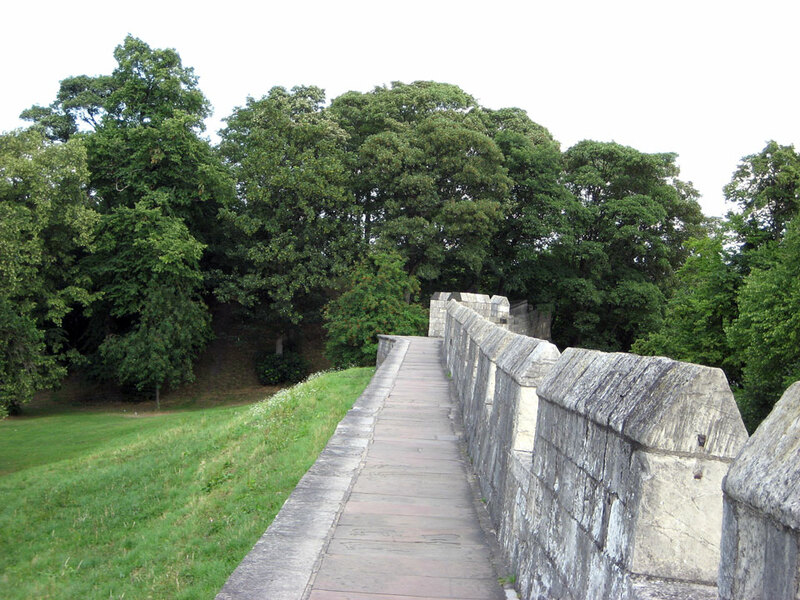 It was damaged during the 1644 siege. 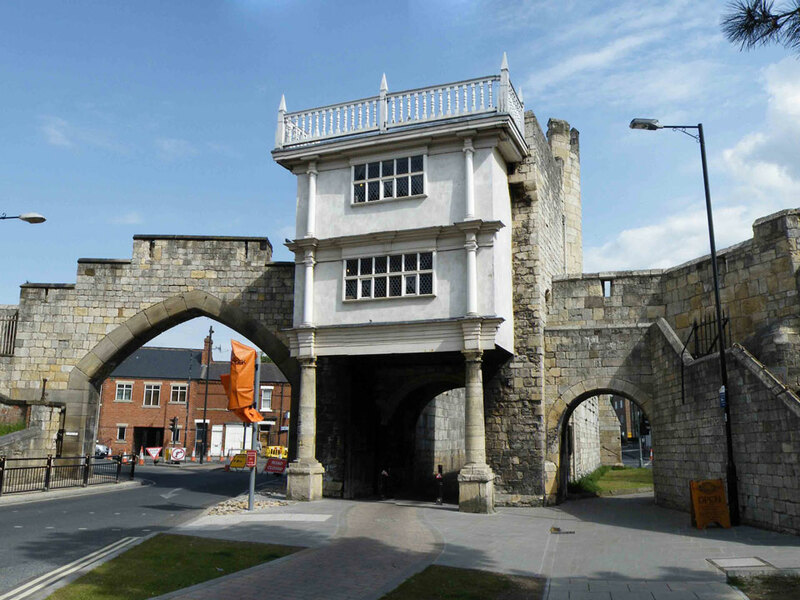 Walmgate Bar Walmgate Bar has an unusually well preserved barbican. 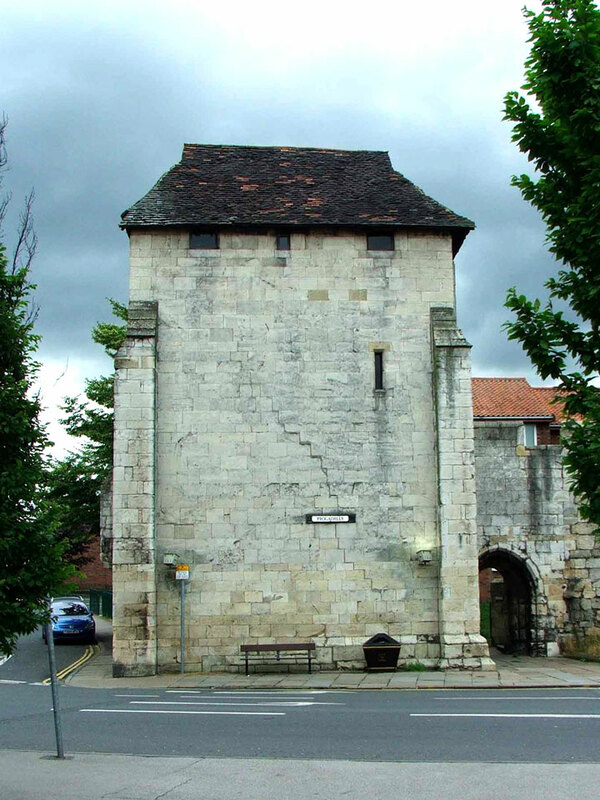 Fishergate Postern/Tower The original tower on this site was built in 1440, and was replaced by the Fishergate Postern, between 1504 and 1507 to defend a gateway in the city walls at the junctions of Paragon Street, Fisher Gate and George Street. 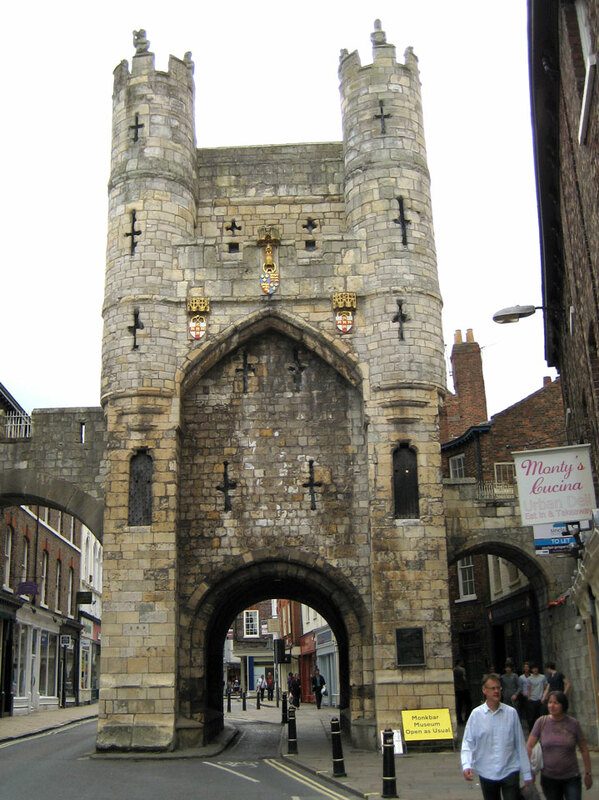 In 1489, the gateway was bricked up. 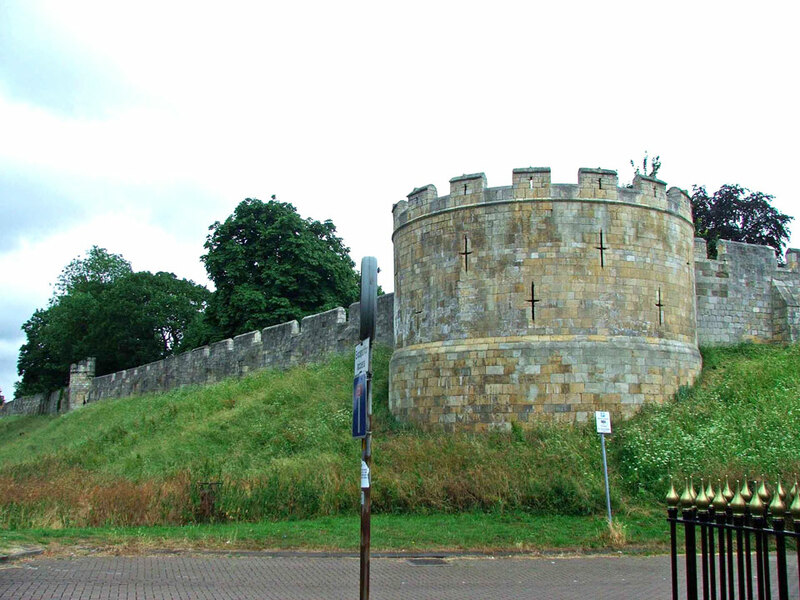 Birchdaughter Tower Built in 1645, it has a raised gun platform. Victoria Bar It was opened in 1838 to provide direct access between Nunnery Lane and Bishophill. 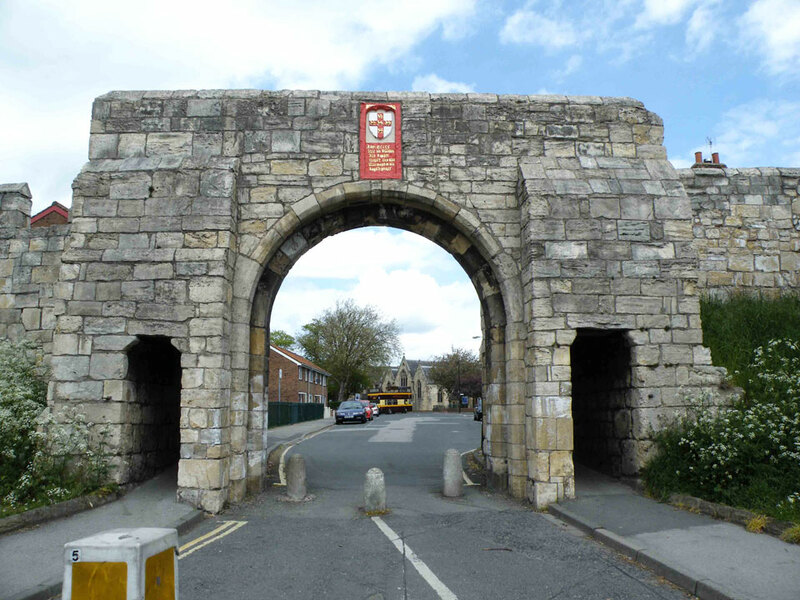 Micklegate Bar Originally a small gate into the city of York built between 1100 and 1132. 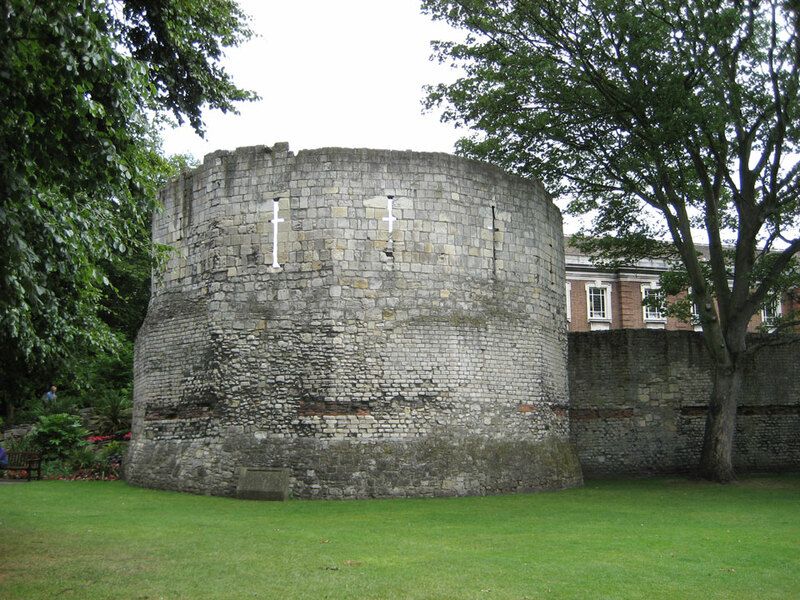 In 1333 a large barbican was built, and a portcullis was added. 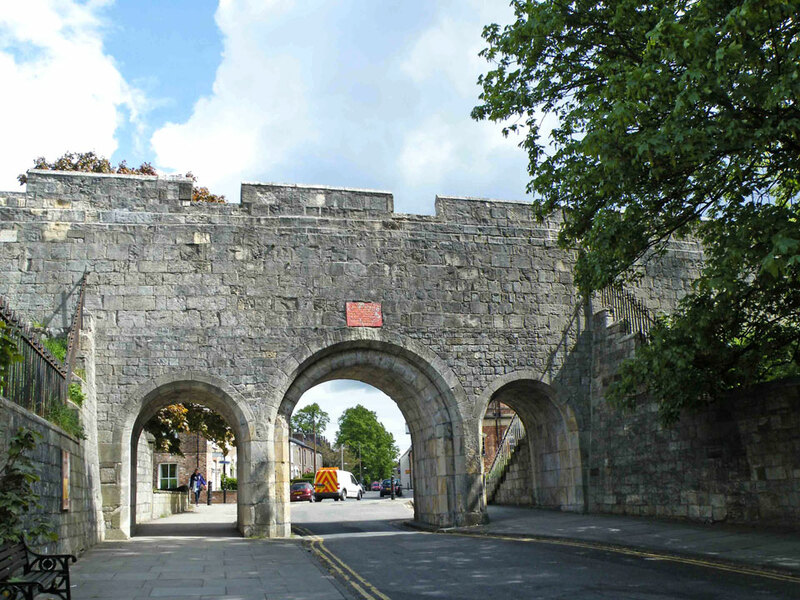 The barbican was removed in 1826 and the gatehouse has been modified extensively since then. 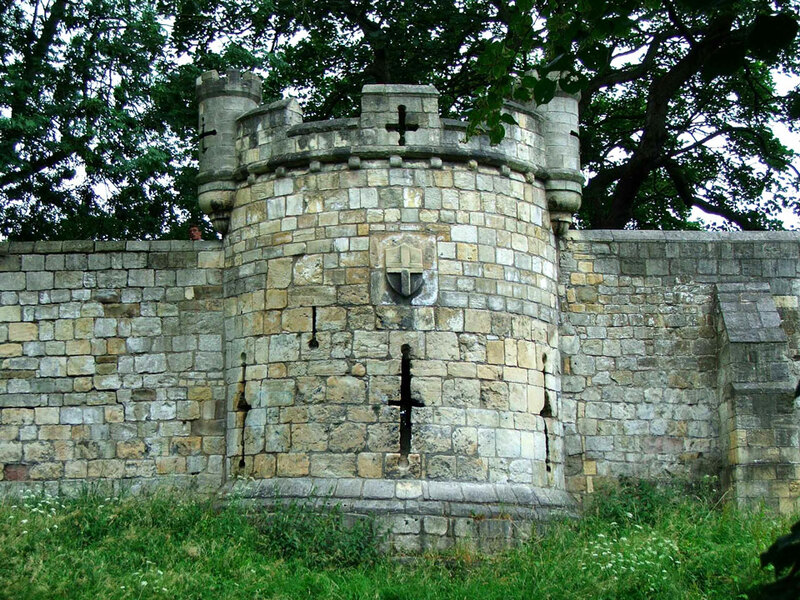 Toft Tower A corner wall tower. 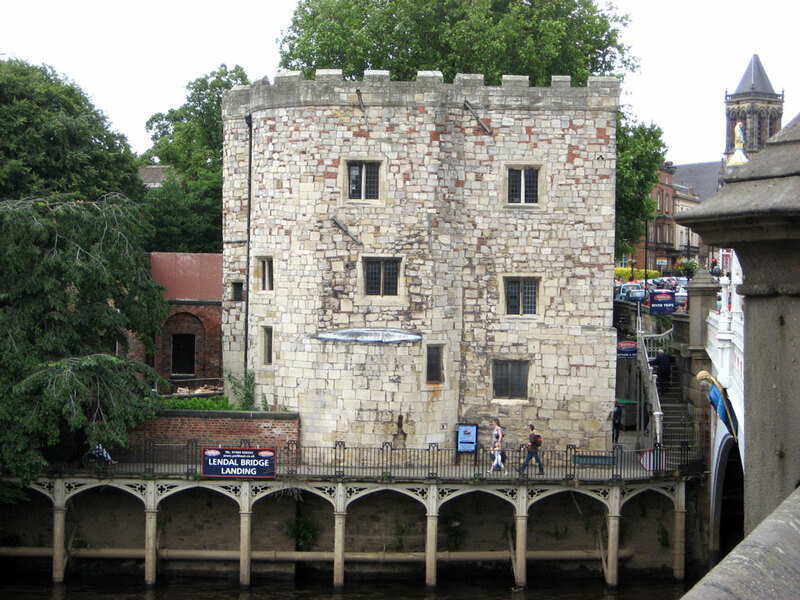 Barker Tower North Street Postern andTower, originally known as Barker tower. The conical roof and a second storey were added in the 17th century. Lendal Tower Originally a small water tower similar to Barker tower, it was almost entirely rebuilt in the 17th century. 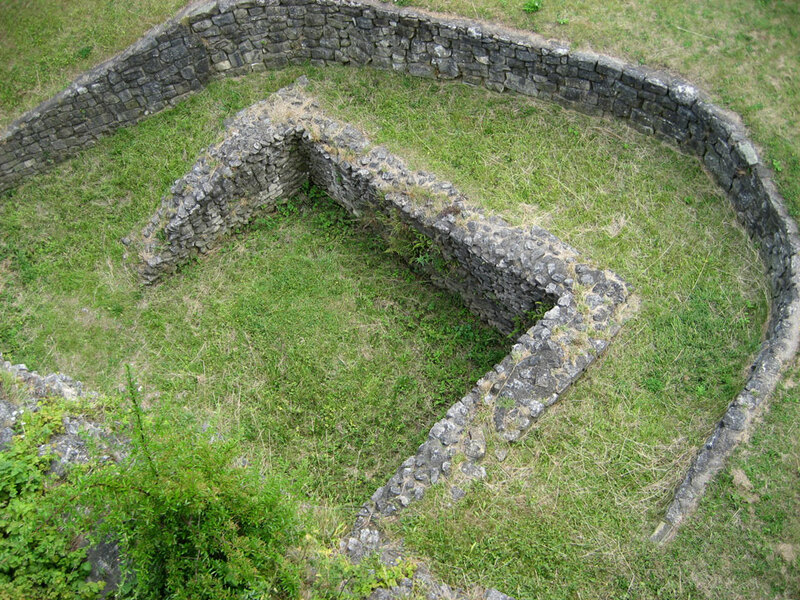 Multangular Tower Built as part of a series of eight defensive towers in AD 210. 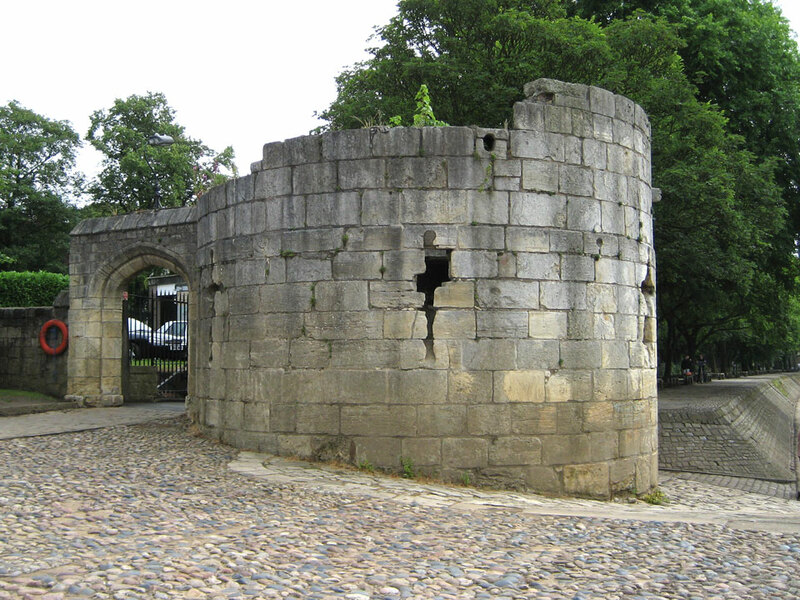 It has ten sides and is almost 30 feet tall but only the lower part is the original Roman stonework - the upper course with arrowslits is a later medieval addition. St Mary's Tower Part of the wall of St Mary's Abbey, it was built in 1324 as a tall, circular tower, 10 metres in diameter and over 10 metres high. 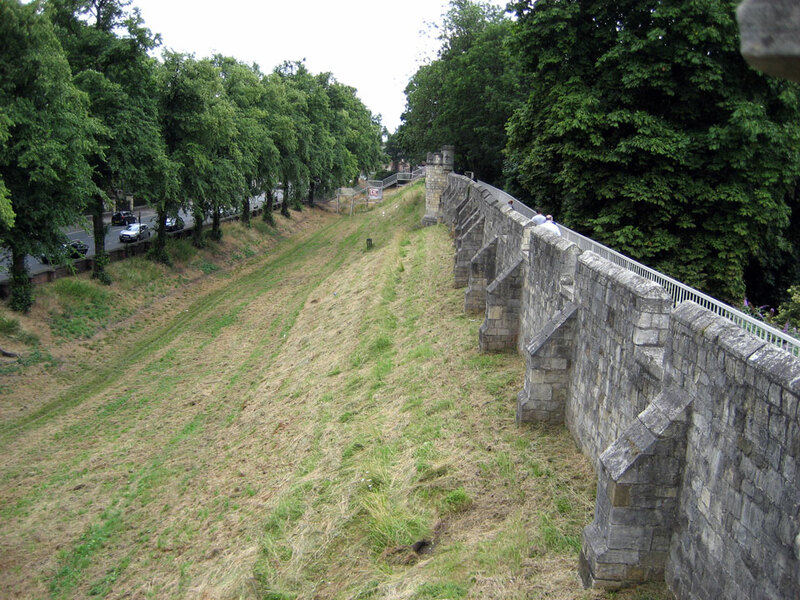 In 1644 it was the subject of a heavy attack by the Parliamentarians. 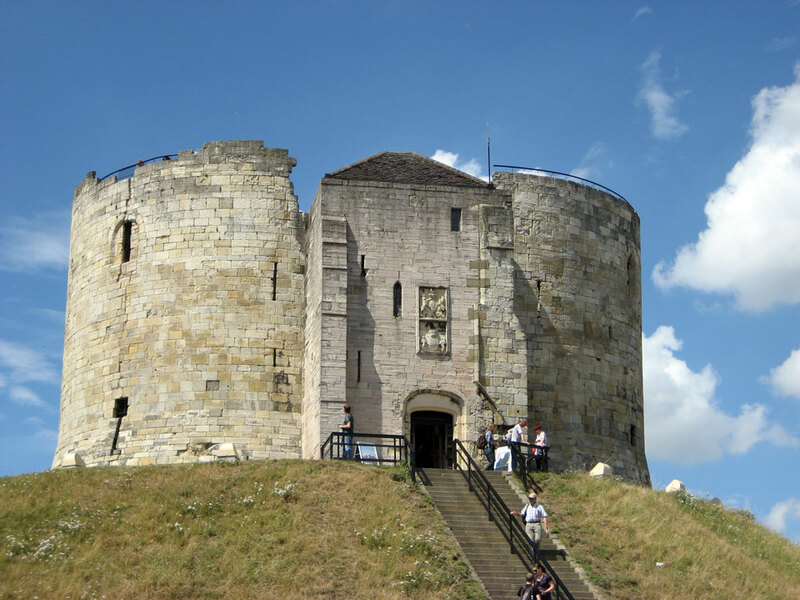 After the Civil War the tower was rebuilt with thinner walls on the outside but kept the octagonal shape on the inside. 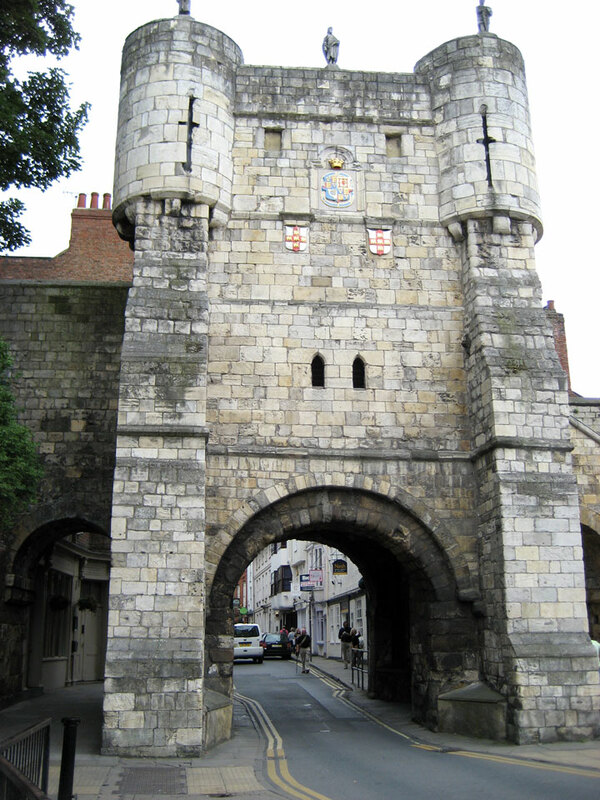 The tower has since been restored.